Advanced management software for agriculture ALL IN ONE. Manage and take control of your farms in a way effective from anywhere, making the most of it. Orcelis Fitocontrol is an advanced software for farming ALL IN ONE that allows you to manage and make decisions in your farms in real time considering all the variables of crop: irrigation needs, fertilizer dose, soil analysis, water analysis and leaf analysis, climatic data, NDVI satellite images, etc. You ended up wasting time putting data and doing calculations in Excel sheets, with Orcelis Fitocontrol you can do all that and much more with a single click. It is very easy and intuitive. Learn in just a few minutes. Orcelis Fitocontrol optimizes your resources and avoids unnecessary expenses. 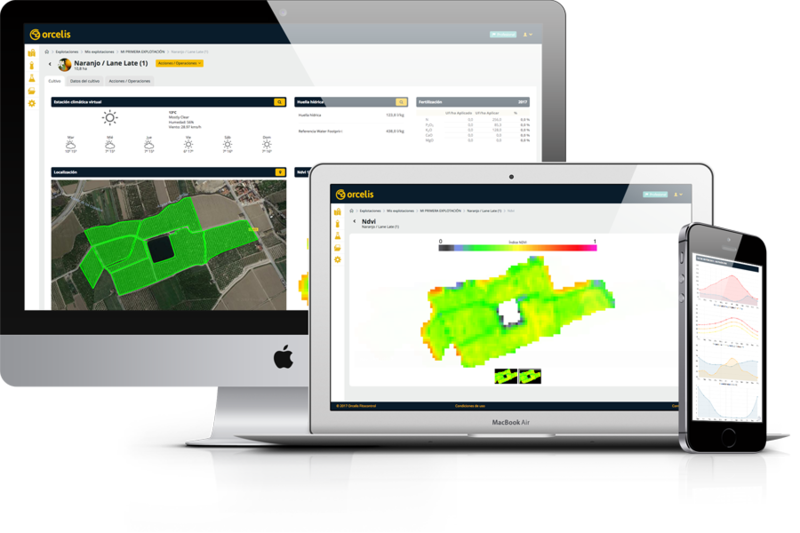 Save up to 50% on production costs and get the most out of your crops with your intelligent decision-making system. What I like the most is the ease of use, the amount of data it provides and the continuous advice when there are doubts that arise. 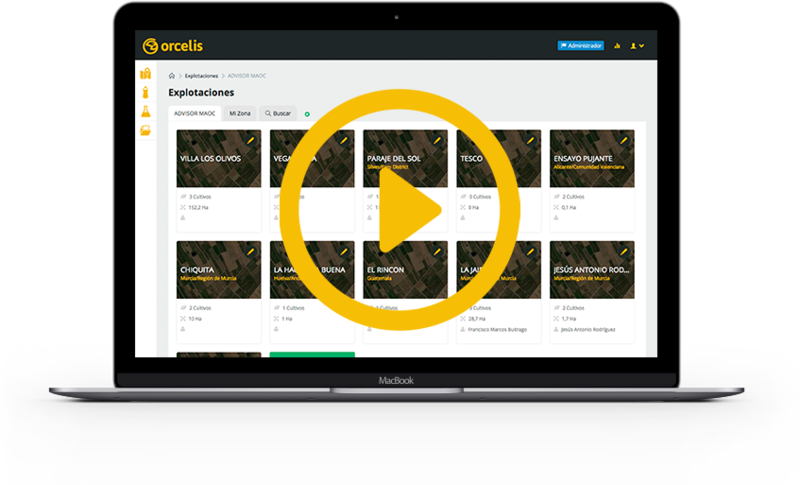 With orcelis you have an exhaustive control of the exploitation, introducing the concrete parameters for each farm, also provides the exploitation notebook necessary for compliance with current legislation. A program of calculation of irrigation, fertilization, phytosanitary treatments to make agriculture of precision. Have direct control of the farms and know what you have in hand. It is a very effective tool for the technician because it allows you, once the farm data is entered, to calculate the nutritional needs quickly. With very little time, you can advise the farms, including: Fertilization, irrigation, field notebook, machinery, analysis, etc.